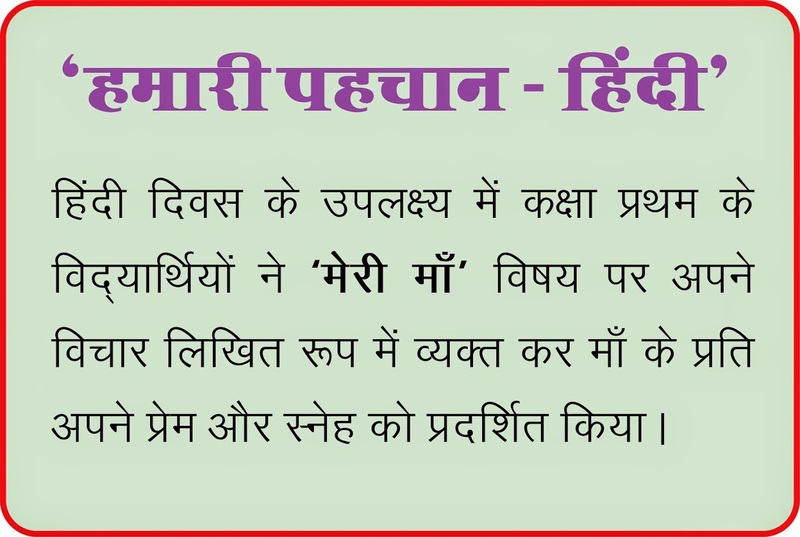 A special assembly to mark the birth anniversary of Sardar Vallabhbhai Patel was conducted today by the students. The students organised a series of programmes to mark the day. 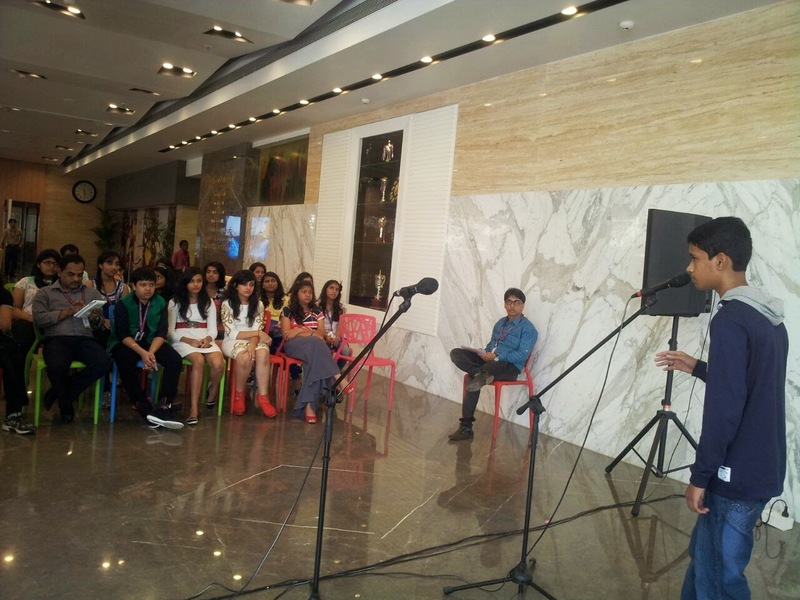 They recited beautiful poems and emphasized on the need of unity. The entire School marked the attendance to the programme. 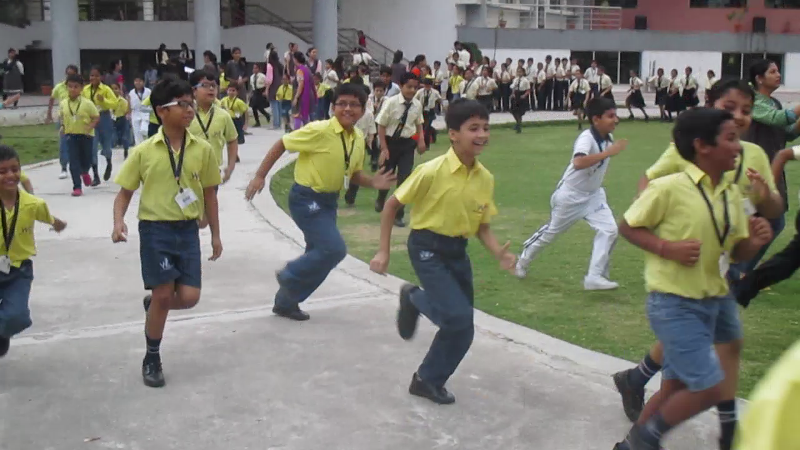 The School later flagged off a ‘Run for Unity’ in which all the students and the teachers enthusiastically participated. The Principal administered the unity pledge to the students as well as staff members to keep them moving forward with the marking of unity. Come along children, we’re going to the zoo. Going to the zoo today. See the animals living in the zoo, living in the zoo today. I see a monkey sitting in a tree, I see a monkey eating a banana, I see a monkey and it sees me. Little Wittians of PG were introduced to Monkey and Gorilla. They enjoyed feeding banana to monkey and also enjoyed eating banana with their peers. 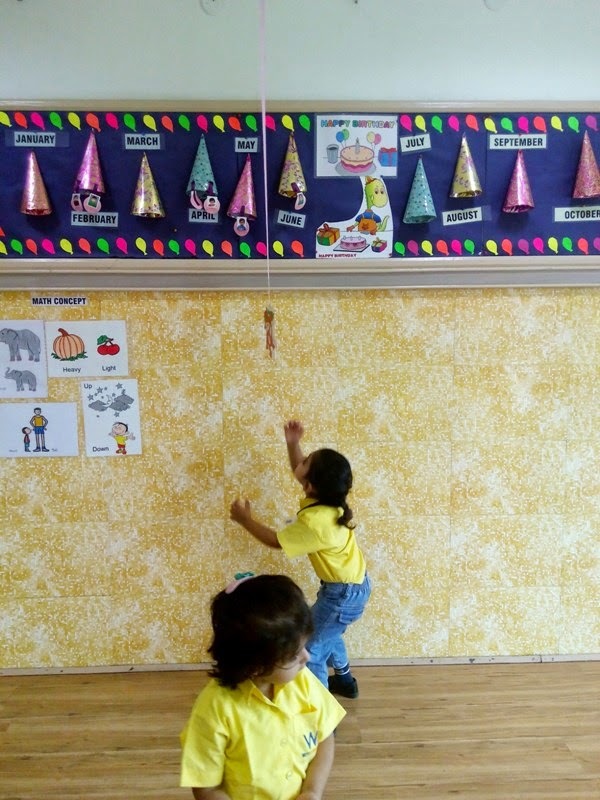 Little angels of Playgroup WIS, Bhilwara were introduced to zebras and Giraffes on Friday, 31 October , 2014 with lots of exciting activities. The tiny tots brought green leafy vegetables in their lunch box. The kids learnt that zebras and giraffes are similar, both have patterns on their body. Zebra has strips and giraffes have big spots look like triangles. The kids also learnt that zebra is shorter than giraffe. They eat grass and leaves and both are scared of lion and tiger. The little ones of Playgroup also made the zebra stick puppet with the help of black paper strips. Through this activity they could recognize the difference between zebra and giraffe. This was a fun learning experience for the kids. The toddlers of Playgroup were introduced to monkey with the help of plastic monkey and monkey puppet. Children brought the real banana in their lunch box. The kids learnt that monkey lives in the jungle or the zoo and they also learnt that they swing from one branch to another always live in a family and like to eat peanuts and bananas. 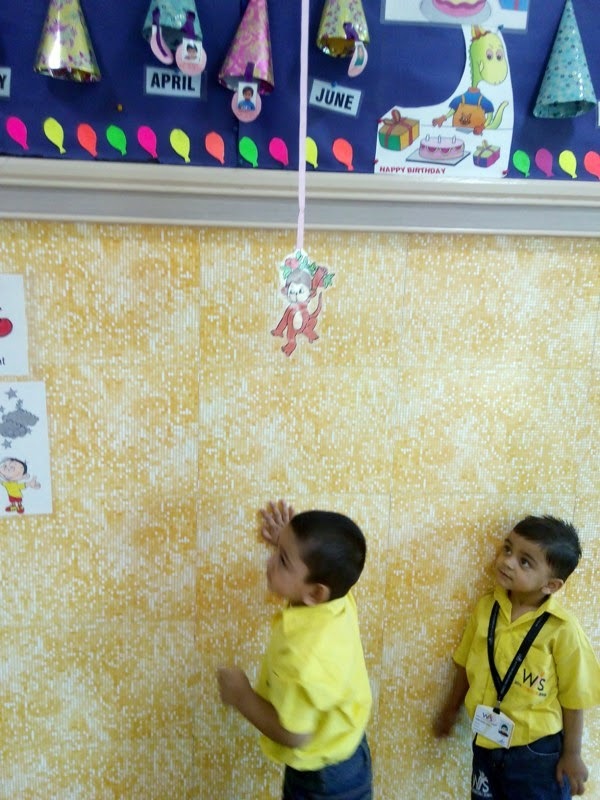 The teacher hanged the monkey mobile from the celling for the sparkling stars of Playgroup to swing the monkey make it go in circles, side to side front and back. Little ones of Playgroup made the stick puppet of monkey with the finger dabbing of brown colour. This was a fun learning experience for kids. 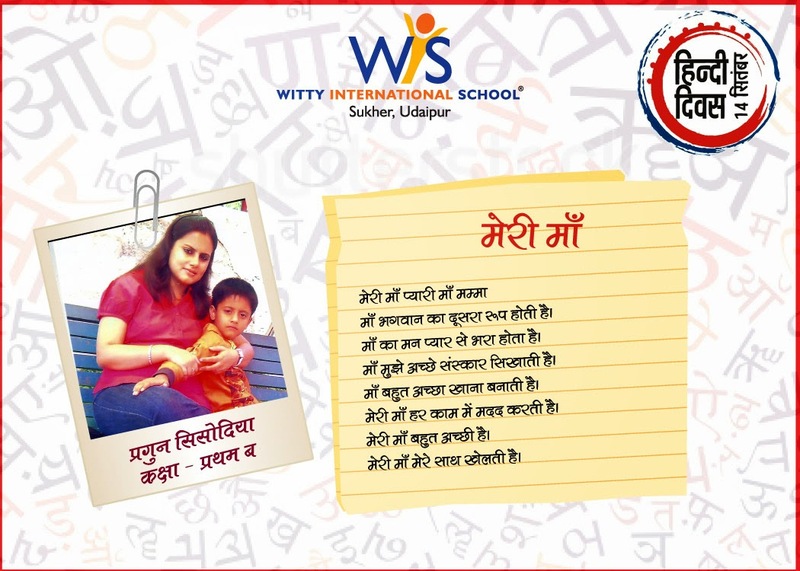 WIS Bhilwara seek to give its students exposure to many of the major types of art—drawing, painting, printmaking, collage, ceramics, construction and digital art. The reasons are: these types of art encourage different types of creative thinking, problem solving and ways of working with one’s hands. 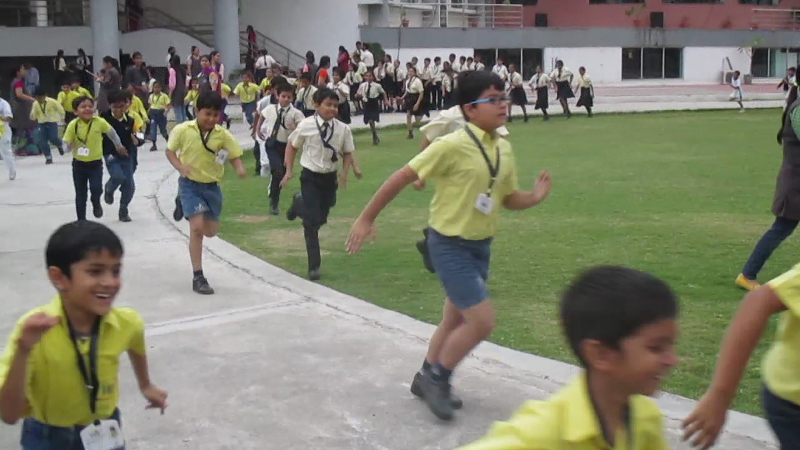 A collage making competition was held for students of grade 3 to 7. The collages were beautiful, thought provoking and hilarious. Learning spelling words is important to Student’s future. Spelling words help lay the basic foundation that a student will need throughout his education and life. Spelling is important because it aids in reading. It helps cement the connection that is shared between sounds and letters. Learning high frequency sight words also has been shown to help with both reading and writing. 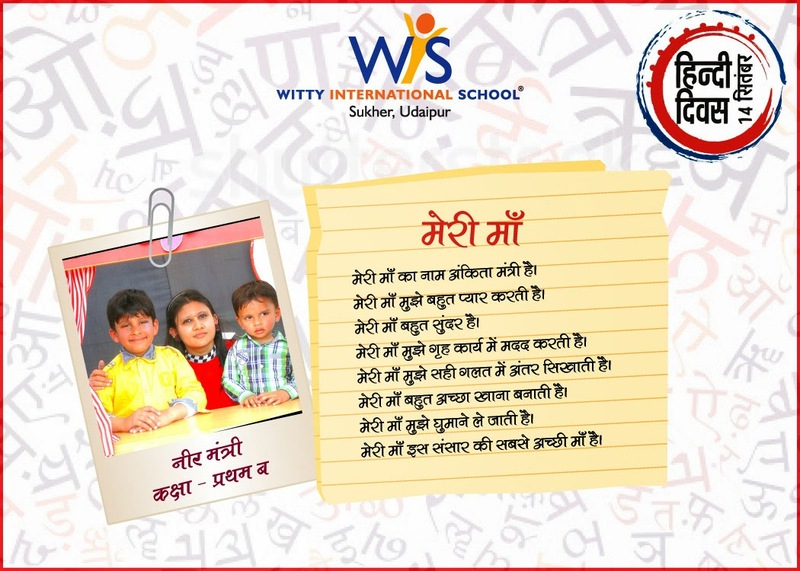 So Spell-o-Fun competition was held at WIS Bhilwara for the students of grade 1 & 2. Students enjoyed doing an interesting worksheet to show their spelling skills. 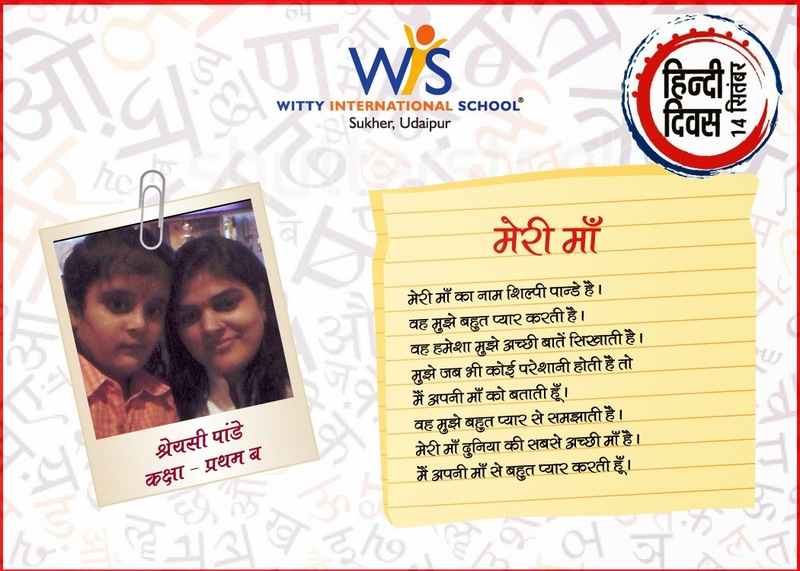 The students of Witty International School, PawanBaug, celebrated Diwali on 17th October with great fervor and enthusiasm. 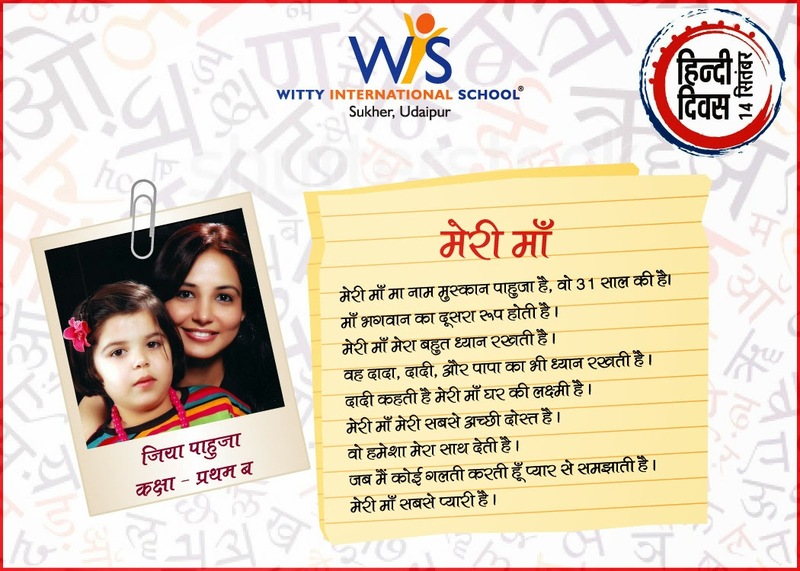 The school firmly believes that each and every individual student has immense potential in different aspects of their personality. Hence, to give the students a platform to showcase their talents and shed their inhibitions, the school organized “Sparkle- A Talent Hunt” to discover and enhance the hidden talents of the students. The talent hunt comprised of an Art competition which had extremely innovative categories ranging from Knife painting, Hand painting, 3D Sketches to Fashion Designing, Doodle or Scribble and Pixelated Animation. 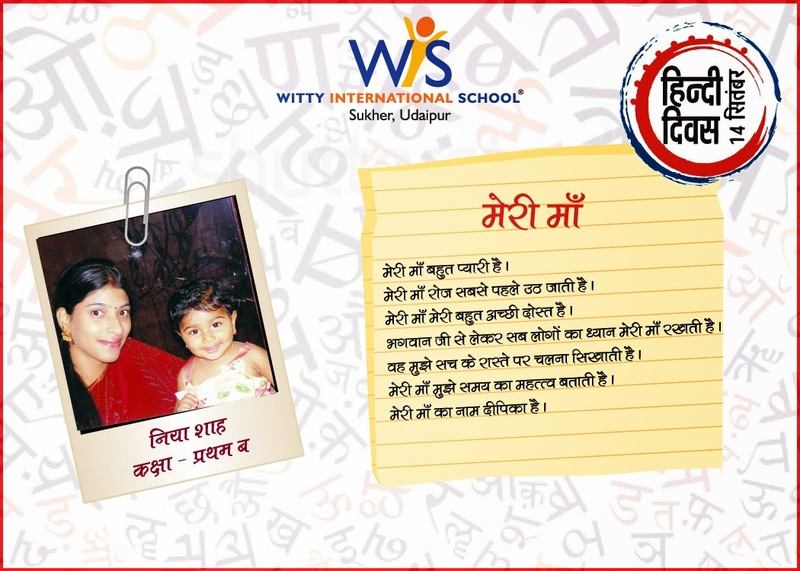 One could see an array of beautiful paintings and drawings crafted by the Wittians. 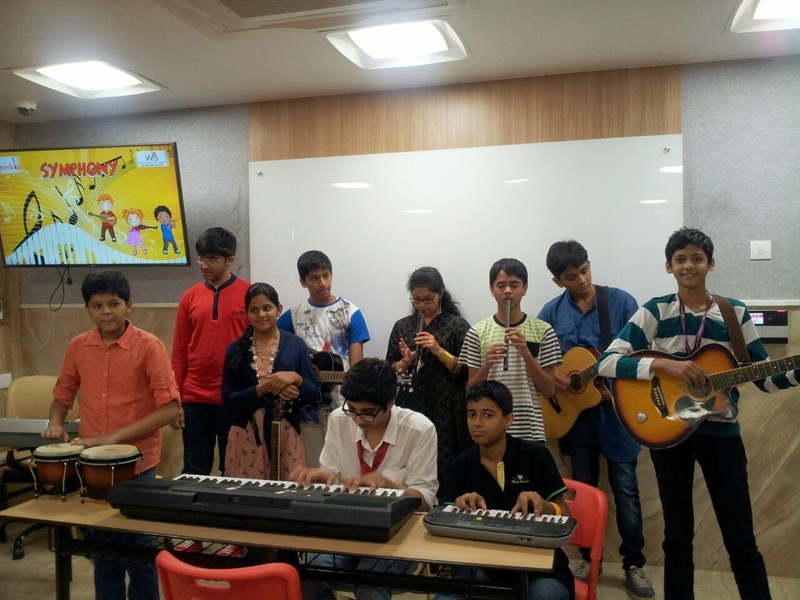 The other optional events included Karaoke Singing & Symphony – which had students playing various instruments like the guitar, Casio, violin etc. The beats played by the children were truly soul rendering. Another competition named ‘Street Rockers’ had students performing a street play to help open people’s eyes to the various social evils happening around us.‘Comedy Express’ was a stand-up comedy event where the participants tickled the funny bone of the audience present and ‘Kavita.com’, a poem recitation competition, gave students a chance to recite poems with a thematic message. 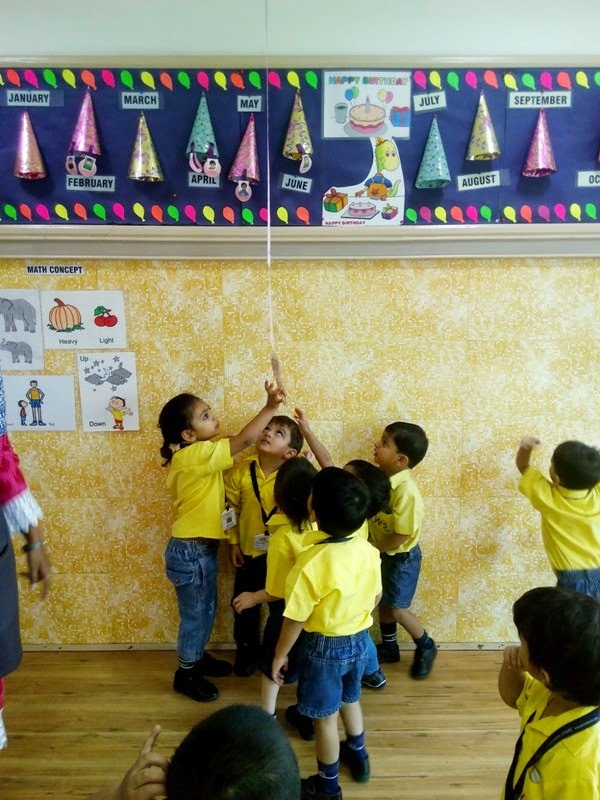 As a recap activity for the month’s theme of ‘Creepy Crawlies’ the children of Jr.KG section were asked to bring their favorite insect toy on Friday, 17 October 2014 as a part of “Show and tell” activity. Children confidently described the features of their favorite insect and sang rhymes for the same. Show and tell is a fun and interesting way to develop a child’s listening and speaking skills. Show-and-tell is a whole-class sharing activity which again encourages social skills of the child. WIS welcomed their little marine animals on Friday, 17 October 2014 as the children of Playgroup section came geared up for their “Dress Me Up” as a Fish, Jelly Fish, Shark, Whale, Dolphin and many more. They confidently took the centre stage and recognised the sea creature they had dressed up as. 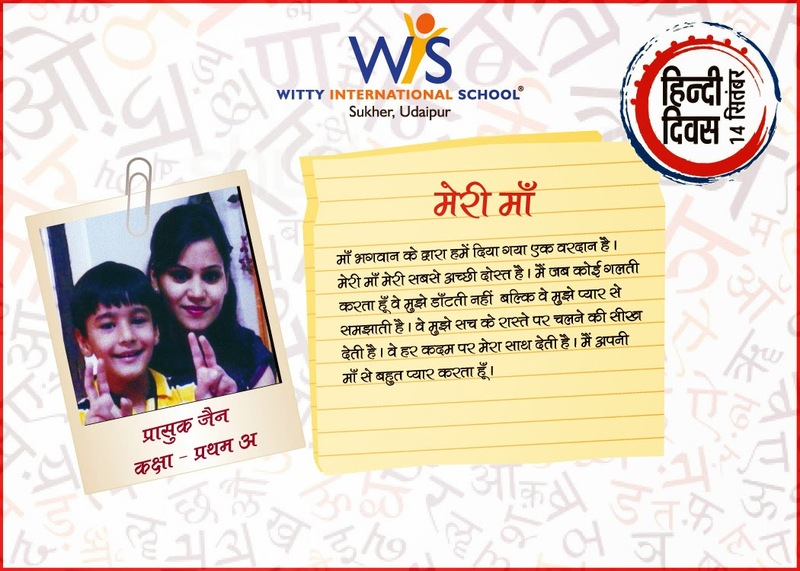 Such activity enhances the child’s confidence, builds imagination and helps them gain a better understanding of the world around them. 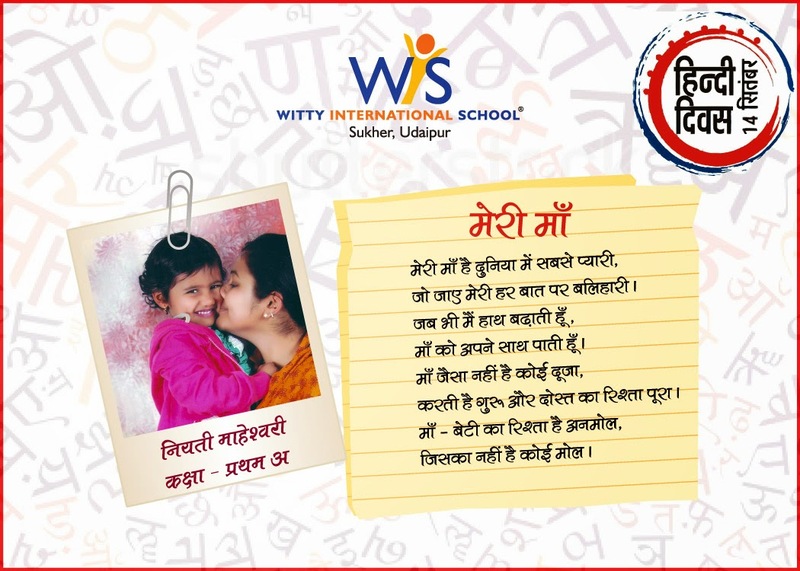 Diwali, the Festival of Lights was celebrated with fun and festivity at WIS for the Pre Primary section on Friday, 17 October 2014. The school was decorated to give the festive look. Children and teachers came to school wearing their new attires. Little Wittians were explained the significance of the festival through an audio visual aid. 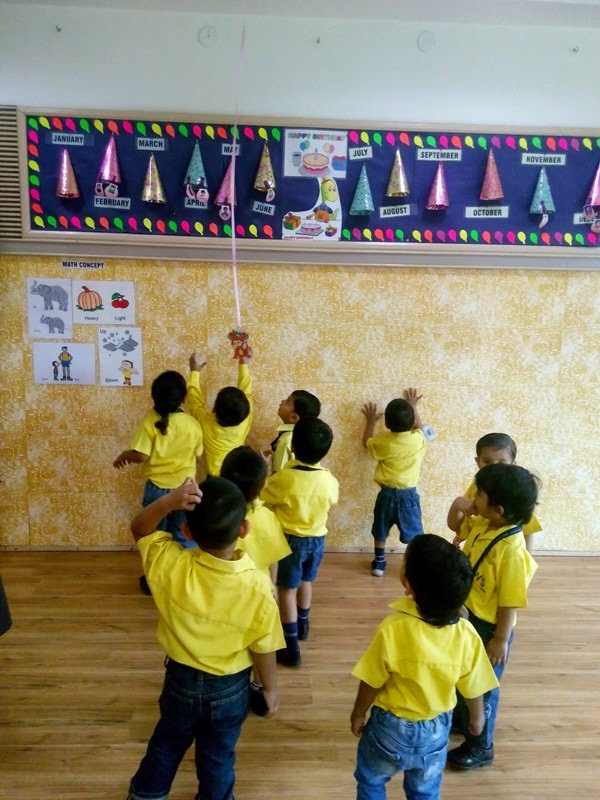 They also enjoyed fun activities likes sharing their Diwali plans. Children also enjoyed Dancing on the foot tapping music. Parents had sent sweets in their child’s tiffin which they shared with their friends. Overall it was time of fun and enjoyment.